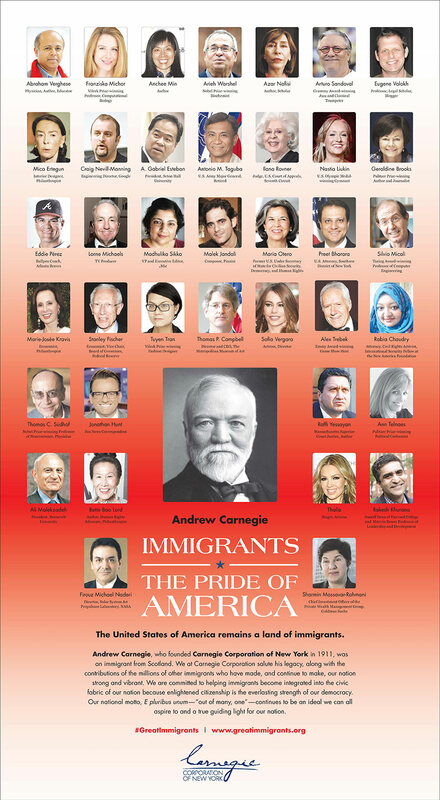 Carnegie Corporation of New York salutes the legacy of Andrew Carnegie and other immigrants every July 4th. Join us by exploring an inspiring group of well known naturalized citizens from all walks of life — the “Pride of America” — who have made notable contributions to the progress of our society. Visit our special Great Immigrants website to see all honorees since 2006. You can also chart Carnegie’s journey to America and read the latest news from our grantees and other partners working to foster citizenship and civic integration.